Spring clean up. Tree pruning season. Piles of fallen leaves. At certain times of the year, you may be overwhelmed by the sheer volume of yard and garden waste heaped in your backyard. Island Junk Removal Solutions garden waste removal services take care of nature’s waste for you, ensuring the bulk of these materials are eventually turned back into soil. Our service area includes the entire southern Island, from Sidney to the Cowichan Valley, and even the Gulf Islands. If you live outside the boundaries of our main service area, give us a call, and we’ll outline any additional travel costs to your neck of the woods. This includes kitchen scraps, which were banned from regular household garbage disposal in 2015. Many people compost their own kitchen scraps and yard waste, but find that the compost pile overflows from time to time. In that case, we can help! Compost is important to the natural ecosystem, and we know what to do if you find yourself with too much of this natural resource. Are there any natural materials that can’t be composted? The answer is yes, but we know how to dispose of these items too. Invasive species like English ivy and Scotch broom must be properly handled and included with regular garbage disposal. The CRD lists morning glory, blackberry, wild mustard, ox-eye daisy, wild carrot, couch grass and poison hemlock among other plants that require special care. 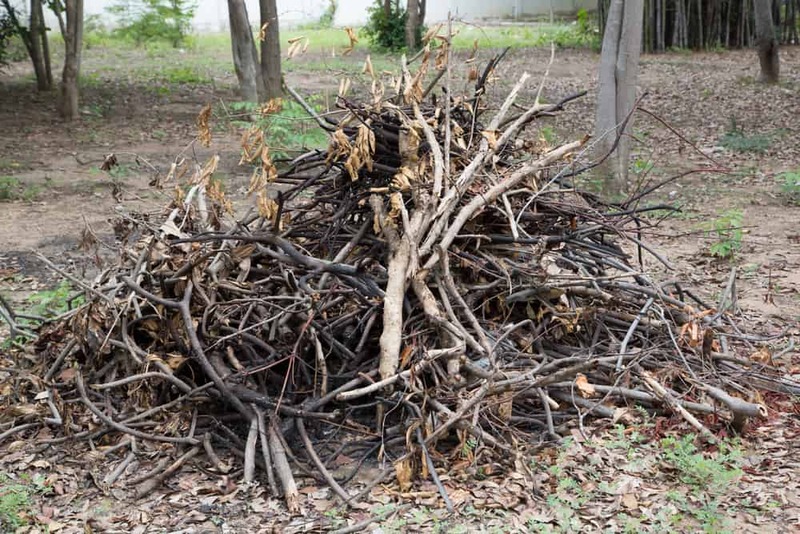 Yard waste hauling can be a daunting job, and proper disposal requires a little know-how. We’re here to help! So go ahead and prune, dig, mulch and plant; then call us for a yard waste pick up. From winter windstorm clean ups to garden overhauls, we’ve got you covered any time of year. And one more thing: did you know that we can handle small demolition too? From unsightly sheds and tumbledown fences, to rotting decks and planters, we’ll dismantle and haul away any refuse that clutters up your yard.